From the Hakushu distillery in the foothills of Mount Kai Komagatake comes this 10 year old 350ml single malt whisky, an excellent expression that captures the smoky, herbaceous characteristics of their whiskies. 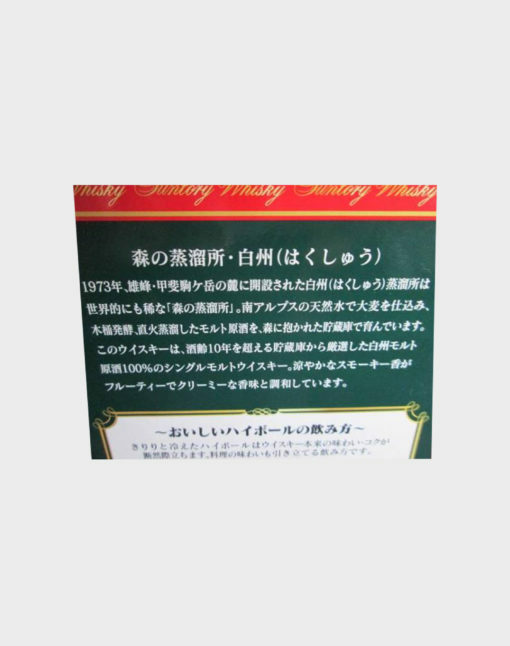 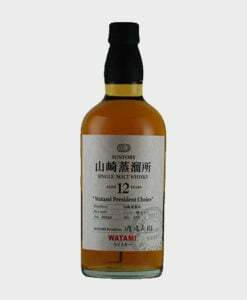 Both lightly-peated and heavily-peated malts were used for this complex and deeply enjoyable whisky from Suntory. 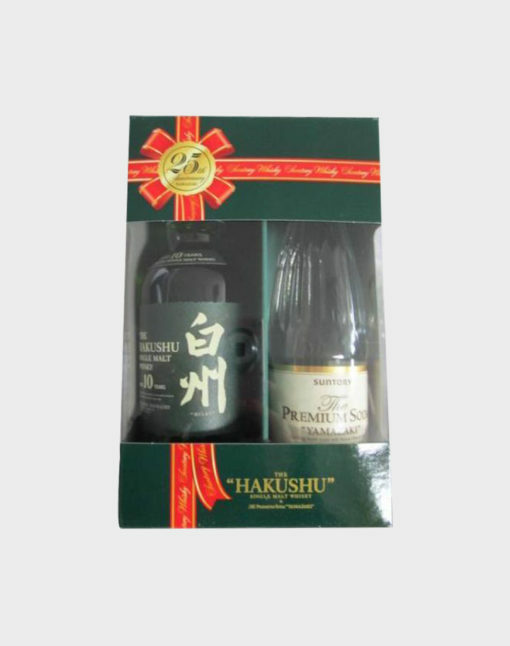 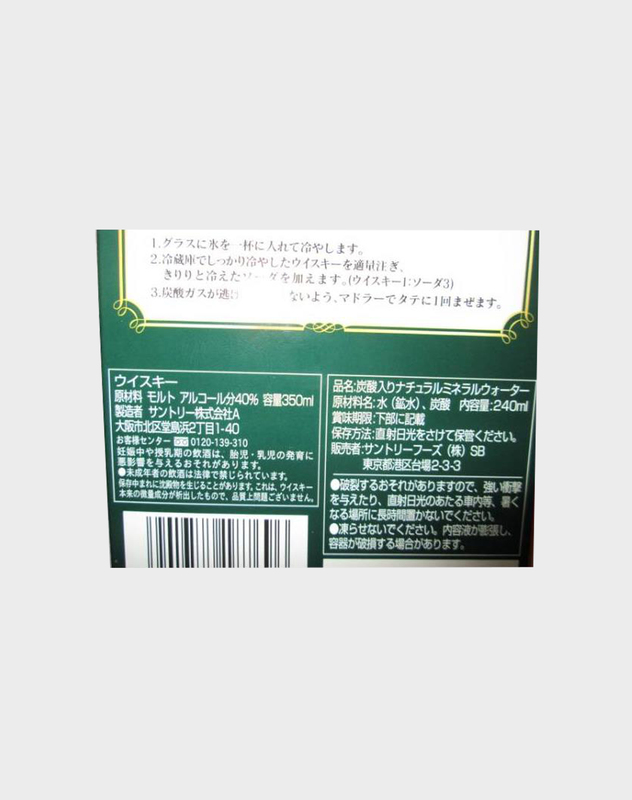 This listing comes with a bottle of Yamazaki Premium Soda which makes it a perfect set.